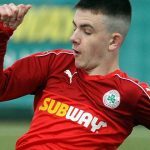 Paddy McLaughlin says he was pleased with how everything came together to ensure his tenure as Cliftonville Manager began with a win over Newry City. 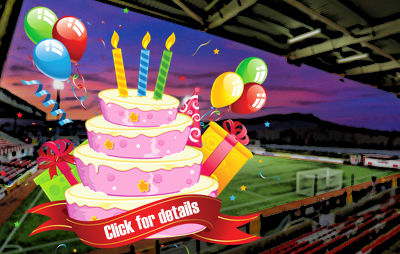 Conor McMenamin clipped home the only goal of the game at the end of a passing sequence that involved debutants Niall Grace and Aaron Harkin as well as young midfielder Caoimhin McConnell and, though he would have preferred to see his new side extend their advantage, McLaughlin was encouraged that a clean sheet meant they didn’t have to. “It was a good bit of football and a great start for us,” he says. “It’s been a busy week for all of the players, with me coming in for training on Monday with more sessions on Tuesday and Thursday, but I’m delighted with how everyone did. “As an ex-centre half myself, I know all about the importance of defending and keeping clean sheets so I’m delighted with that and the players are too, especially the defenders and goalkeeper. 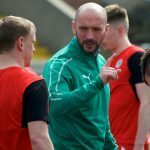 As well as making four changes from the Reds side that drew with Glenavon on their last Danske Bank Premiership engagement, McLaughlin handed Grace and Harkin their bows and says he trusted everyone to do the jobs that were asked of them. “I had faith in the boys in defence to play the way we want to and you have to back your players to go out and do that,” he adds. “I knew the three in midfield would give us real quality going forward and everyone saw how lively they were in there. The wing-backs did their jobs too – including one of them scoring a good goal – and the two up front worked very hard for us.